The mission of Community Concepts is to provide area youth and their families with a venue for receiving technical and skills-based training in the area of media and the theater while providing constructive entertainment. Skills learned are used to produce public service announcements, video taping performance and the how to of stage productions. In collaboration with other community organizations, Community Concepts offer supervised educational programs and activities that are designed to foster the physical and spiritual development and talent of our youth and families. Community Concepts strives to use available resources to support economic development in our communities through job creation in our theatre and media productions. Our goal is to help youth and families build and develop self-esteem, pride and a positive self-image, while maintaining a high standard of quality throughout each activity. Students will become familiar with the operation of a personal computer with computer-assisted instruction. They will be taught the components of a computer. Supervised group exercises and drill of basic PC functions (such as using the control, shift, and function keys) will lead to individualized and personalized learning on the PC. 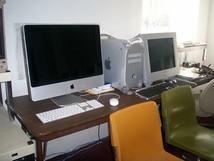 Computer literacy training will be conducted in the computer lab. Computer literacy training will consist of instructing students in word processing with Microsoft Word, spreadsheet preparation with Microsoft Excel, and preparing a presentation with Microsoft PowerPoint. Students will be given their own instructional handbook. In each class, students will be instructed on a specific lesson. At the end of each session, students are expected to complete the assigned lab project for that day. Each of the classroom elements prepares participants for the competitive job market. Many companies have eliminated the process of completing a traditional job application. Instead, job seekers are directed to complete job applications on-line. 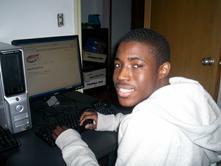 Concepts participant will be able to seek employment with the computer skills they acquire. The computer will be available at the schedule class time and during designated weekend hours.